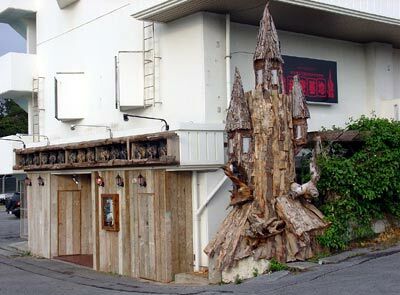 Himitsu Kichi is an izakaya with a unique décor. It lives up to its name, which in English is ‘secret place.’ Americans are finding this secret place though, located in basement of the Eagle Lodge building on Highway 23 near Kadena. The décor’s a blend of Asian fusion, and the menu runs pretty much the same. For starters, there IS an English menu. Manager Tatsunori Taira says “the garlic chicken and Ryukyu ribs are our best sellers,” but adds most everything’s pretty good. It is a great place for a quiet, secluded dinner without the hustle and bustle of many restaurants and izakaya. Himitsu Kichi serves from an ala carte menu, with individual entrée prices ranging from Y390~470 in one section, and Y439~700 in another. In ordering a half-dozen items during our recent dinner, we found each entrée was designed for two persons. Vietnamese garlic chicken and India pepper chicken are specialties, but there’s plenty more to choose from. Thai Bangkok style spring rolls, squid or octopus with wasabi sauce are popular, as are the California rolls, tofu and sashimi. Indonesian gapao in either beef or pork are available, as are deep fried shrimp, onion rings and French fries served either traditional style or spicy. 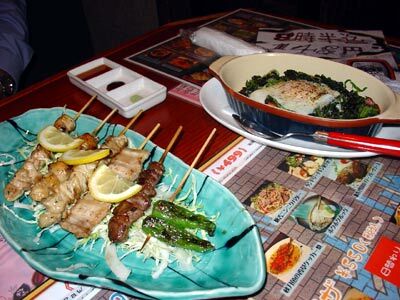 Salads are available, including a marvelous white radish dish, and yakitori another dish everyone enjoys. Desserts range from tapioca and custards to fruits. Himitsu Kichi is the fourth restaurant in a series designed by owner Manabu Gima. 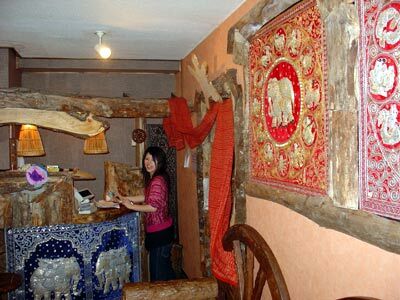 Each bears the owner’s individual touch and style. This restaurant “can be intimate,” says Taira, “but we can also handle parties of 20.” A mix of western tables and traditional tatami are available. Many of the tables are in booth configuration, and have privacy curtains shrouding the patrons with a sense of mystique. Soft drinks are available at Y250, beers run Y305~441, and cocktails are Y148~680. Awamori is also on the menu. Himitsu Kichi is open daily 6pm ~ 5am, with food service ending at 3am and last call for alcohol at 4:30am. The restaurant is open seven days per week.